Technological pioneer and venture capitalist Elon Musk has been publicly developing his high-speed Hyperloop transit system– which could eventually transport passengers or freight at speeds up to 500 miles per hour between Los Angeles and San Francisco– since 2012. The system incorporates a sleek vehicle propelled by linear induction motors and air compressors through a near-vacuum tube. The project has been open-sourced by Musk, meaning that anyone who wishes to contribute to the development and design can engineer and pitch their own concepts for the Hyplerloop’s operation. 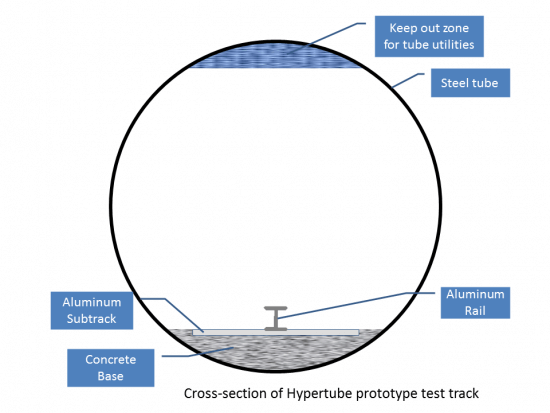 This past weekend, Musk’s aerospace manufacturing company SpaceX held a Hyperloop Pod design competition intended to demonstrate the feasibility of the theory. The winner of the contest was the WARR Hyperloop, built by students at the Technical University of Munich, which reached speeds of over two hundred miles per hour during its test run. Musk posted a point-of-view video of the test to his Instagram the following day. This was the first year for the on-track portion of the competition, as the mile-long steel tube was under construction in Hawthorne, California during 2016’s event. If the Hyperloop system ever sees fruition, it could mean terrific things for commuters or other travelers on America’s west coast… and beyond.